Tariffs on imported steel and aluminum have little effect on China. But a new round of levies could badly smack Washington. The Trump administration is preparing to roll out broad tariffs against Chinese imports. Beijing will retaliate and we’re off to the races. The president notoriously tweeted “…trade wars are good, and easy to win.” We’ll find out (again) how wrong this is. The administration has already slapped levies on imported steel and aluminum. The economic consensus is that it risks costing far more jobs from steel-and-aluminum-using industries than any that might be gained or saved in the mills (where automation, not trade, is the biggest danger for workers). Alcoa operates a smelter in Ferndale employing 550, and has idled another in Wenatchee. Any benefits the tariffs bring there must be balanced against potential job losses elsewhere — and this is before other nations retaliate with tariffs against American exports. Alcoa opposed the tariffs out concern for its customers in a complex, global supply chain. Also, so far Canada (the largest steel exporter to the United States) and Mexico are exempt, and Chinese steel imports are tiny. Foreign aluminum is flooding in to beat the tariff date. So much for the “easy to win” part of the president’s statement. China is Washington’s largest trading partner. Last year, state exporters sold $18.3 billion worth of merchandise exports to China and more in services. The products ranged from the obvious — airplanes and agriculture — to forest products, electronics and fish. 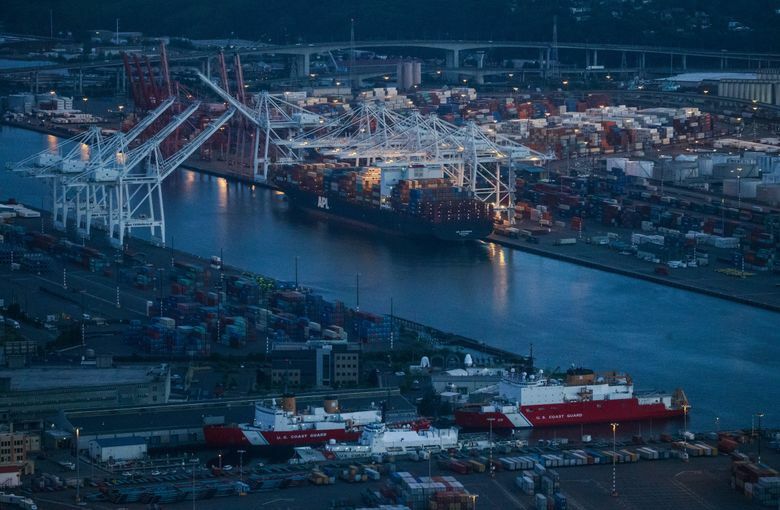 Washington sells more exports to China than any other state. According to the Wall Street Journal, Beijing is promising a retaliation that is “measured and proportional.” Let’s hope one adult is in the room. But these things have a way of spinning out of control. The Journal story has Chinese sources saying countervailing tariffs would be aimed at Trump’s base in the Farm Belt. But these could easily affect Washington’s vital agricultural sector, too. Of course, the big enchilada here is Boeing, Washington’s export king and a company already hugely dependent on China as a customer — and facing competition from Airbus and a nascent, homegrown Chinese commercial aviation industry. If things spin out of control, even a little, Beijing can inflict enormous damage by steering orders away from Boeing. That would put the lie to the “trade wars are good” segment of the presidential tweet. China plays by different rules. Tariffs haven’t worked under previous administrations and they won’t work now — indeed, under such a willfully ignorant administration, the risks are much higher. Trump is not wrong to be concerned about China’s intellectual property practices, one excuse for the tariffs. In a future column, I’ll examine how we might better play China’s game. But in our highly interconnected global economy there’s no easy win.